Salted ling is one of our major products for ethnic and exotic markets. A very white flesh fish, from the cod family, physically it is a very long and slender fish. Salted ling can in several languages or cultures be named differently, for example in french speaking countries it is known as Julienne, in Spain it can also be called Maruca, in other countries or regions it can also be called ambassade or ambassade morue. The scientific name for this fish is Molva molva. The salted ling is commonly sold to the Caribbean and to Brazil, Spain, France and Italy also appreciate this type of fish. The large size of this fish makes it difficult to offer small sizes on a regular base. Our range includes the following sizes 13/20; 10/12; 7/9 and 3/6. Packed in 25 kg cartons, although the 13/20 may be packed in 15 kg or 10 kg cartons if required. We also offer salted ling cutlets, a pre-packed cut to size product, ideal for supermarkets and grocery stores. Like all our dry salted products we advise refrigerated storage for both warehousing and shop floor. 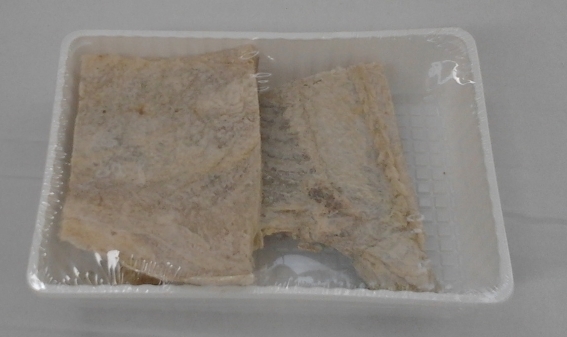 Our salted ling cutlets are offered in trays or in poly bags. The standard sizes are 250 g and 400g. However other sizes can be produced according to your specifications. Our salted ling is butterfly split with the extraction of two thirds of the back bone. Traditionally salted and cured. Very well dried to withstand more aggressive environments. Like all our salted fish we produce from fresh Norwegian fish which arrive directly at our dock from the fishing boats, the only way to insure fresh quality products. Besides our ling dry salted products we also have a very good range to offer for African and Caribbean shops and distributors, you can find more information on our website.